The insurance landscape has been a rocky one for some time. We’ve been unable to predict from one month to the next what will happen with marketplace policies, and even our insurance agents aren’t entirely sure what things will look like in the future. Open Enrollment: The open enrollment timeframe for the 2018-2019 insurance season will remain the same as the previous year, running from November 1st to December 15th, 2018. Marketplace Policies: Although insurers have been pulling out of the market, there are still several levels of insurance available on the ACA’s health insurance marketplace. 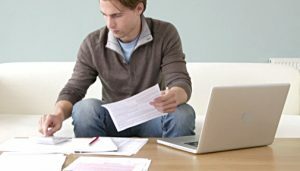 Premiums vary depending on deductible and max out-of-pocket. Typically, these policies will cover prenatal care at 100% after the first office visit. Pre-Existing Conditions: At this point, we do not anticipate any changes in policies and exclusions for pre-existing conditions. Physicians: Unfortunately, many physicians are no longer taking marketplace policies. There is no one-size-fits-all answer to the question “Will my insurance cover surrogacy?” If you are the policyholder, you’ll need to familiarize yourself with its coverage and determine what its limits are. If you’re working with 3 Sisters Surrogacy, we’ll provide professional legal counsel during the contract-signing stage to review insurance coverage and make sure anything that isn’t covered will be paid in an agreed-upon manner. Insurance companies are not legally required by any state to cover surrogacy costs (artificial insemination, in-vitro fertilization (IVF), embryo transfer, etc.). Even those insurance policies that do cover surrogacy procedures can have very different benefits and coverage limits. It’s up to the parties involved to understand what is and isn’t covered. Intended parents’ health insurance usually do not provide coverage for non-member surrogates. However, intended parents can purchase other coverage, even if it’s just to back up the surrogate’s own policy. Dedicated surrogacy insurance can be expensive, with premiums and deductibles in the tens-of-thousands. Any surrogacy-related procedure that is not covered by insurance is usually paid for out-of-pocket by the intended parents. For a normal pregnancy without insurance, the total expenses can exceed $20,000. Pregnancy is not considered a qualifying event for insurance purposes, so any party seeking insurance for an upcoming gestational surrogacy will have to purchase the policy during the open enrollment period. Gestational surrogates and intended parents should take appropriate action as described below. Contact your physician and delivering hospital to ensure that they will be accepting your insurance in 2019. With the number of physicians choosing to no longer accept marketplace policies, your coverage may be affected. Start researching which doctors in your area will be taking marketplace policies (specifically BCBS). You will only be able to sign up between November 1st and December 15th, so, if you haven’t matched with intended parents by the end of the enrollment period, you might consider purchasing the insurance yourself. A gestational surrogate candidate will be matched more quickly if she’s got existing insurance, especially after the market has closed. Of course, everyone hopes to find a gestational carrier with existing insurance, but it isn’t always possible. There are options available for you as an intended parent, however. Several companies, such as New Life and ART Risk, offer coverage for gestational surrogates that you can add at any time of the year (though you will have to pay a premium for that). Another option is to look into purchasing a catastrophic or short-term policy for the carrier. This will not cover the pregnancy, but it will likely cover any major medical expenses after a high deductible. You’ll need to pay prenatal care and delivery expenses out-of-pocket. Keep in mind that this option is only recommended for those doing a single embryo transfer and planning for a vaginal birth. The insurance landscape will likely continue to be a volatile place in the coming years. 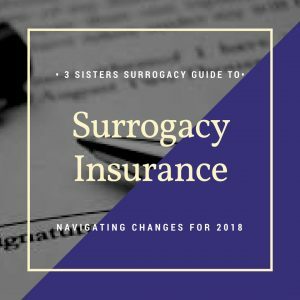 We at 3 Sisters Surrogacy will be monitoring any changes to surrogacy insurance so that we can continue to successfully guide our gestational carriers and intended parents.